I want to start off by expressing, on behalf of Nohea and I, our sincerest Mahalo Nui Loa to everyone who participated at this year’s Kanikapila at the Marin County Fair. Thanks to all of you and your great spirit of ‘Ohana and Aloha, I’m told, it was our best performance yet. Ok, well that and maybe all the practice we put in the last few years every Friday and Saturday . . . and maybe Leslie’s Pink and Dolores’ Black Spike Boots, (click the image below to view the online photo album of the event) . . .
Are you ready boots? Sta-a-a-rt walking!
. . . and maybe these cool shirts that Brudda Will made for us helped a little . . .
Na Kane O Pu’uwai – The Men of Heart . . . Mahalo Brudda Will for custom shirts!
. . . actually, I think is was E) All Of The Above. 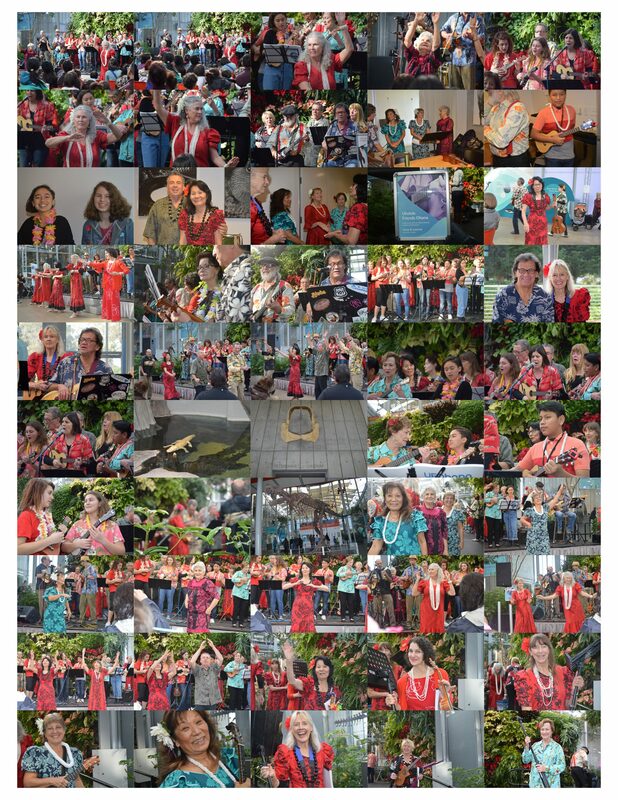 We came, we strummed, we shared Aloha! So before all the Sunday excitement, we shared some fun times with our Sonoma Ohana . . .
Click above to access photo album.
. . . and Friday started the whole weekend . . .
Click above for photo album. Friday we’re at the Campbell Hall 6:30pm to 9ish. BYPotluck, BYOMusicGear and more Aloha to share. We’re good for chairs. Mahalo Reverend Chip for your hospitality! Saturday we’ll be at the UFOHQ back at our usual time of 2p -4p. BYOSnacks&Beverage and BYOMusicStand. Please text me (don’t email as I don’t always check emails on weekends) at 4153007804 to RSVP a seat for Saturday. Ok, I think I’m running out of caffeine . . . hope to see you all this weekend sometime. Happy Fourth to us all! sun yields to the clouds. Hey, have you seen my catnip? You guys are looking good! Your aloha must have lit the fair up!! Aloha Tom, Glad to hear you’re still out there! Mahalo for the kind words. Hope to see you soon! Previous PostPrevious 062618: We’re at UFOHQ = Friday, Sonoma = Saturday, Sunday = County Fair!